Doha, Qatar, November 05, 2018: As part of its leading role in supporting startups, entrepreneurs and innovators in various sectors, Qatar Development Bank (QDB) announces the launch of the first SportsTech accelerator in MEA region powered by Startup Bootcamp the global player in accelerating Tech. Startups, with the goal to become the leading and central point in the region for sports innovation. The initiative aims to attract the worlds’ most promising Sports technology startups, to further boost the sports industry and contribute towards the accelerated growth shaping up in the Qatar sports business. The accelerator is now open to startups globally, and the first program will commence in February 2019. Startups can start applying on www.qatarsportstech.com, till December 2018. QDB has always been a frontrunner in bringing the best local, regional and international expertise to help promote innovators and entrepreneurs’ skills and support their projects. Moreover, since the 2022 FIFA World Cup is taking place in Qatar with forecasted investments of USD 5 Billion that represents a great opportunity for technology startups, this initiative will act as a catalyst and hub for sports innovation pushing new boundaries and presenting new opportunities for global startups and entrepreneurs in terms of sports-related technology and engagement. “Qatar is gearing in full to lead regionally in the Sports Technology entrepreneurship & business scene capitalizing on the big investments happening in Sports Industry for the last 10 years and continuing, we are pleased that Startupbootcamp are keen on grasping this opportunity together with us as we both believe that launching the first SportsTech accelerator in MEA region will create the perfect ecosystem to enhance entrepreneurship in the sports sector regionally. The accelerator is coming up in partnership with a set of prominent Government partners; Aspire Zone Foundation the global leading Dedicated Sports Icon who are hosting the Incubator/Accelerator in their cozy premises located at Aspire side, the Ministry of Economy and Commerce (MEC), Qatar Financial Center (QFC). The Accelerator will host total of four programs over 3 years each with the 10 most promising SportsTech startups from all over the world, where stars and best performers will be offered extended Incubation period and potentially subsequent investment through QDB Investment Fund. Total of 40 startups will be selected and accelerated, and the best performing of them will be offered to Anchor to Qatar Sports Incubator, while running in parallel several activities that compliment with the current happenings in the world of sports, e.g., Angel Investment Boot Camps, Hackathons, International Acceleration for selected Qatari startups, Mentorship programs and more. Startup Boo Camp accelerators all over the world, to help them scale their business and find mentors and partnerships. Qatar SportsTech Incubator will be a key supporter to grow the startup ecosystem in Qatar by creating a hub with events and mentors that will definitely provide an unmatched future for startups in Qatar. 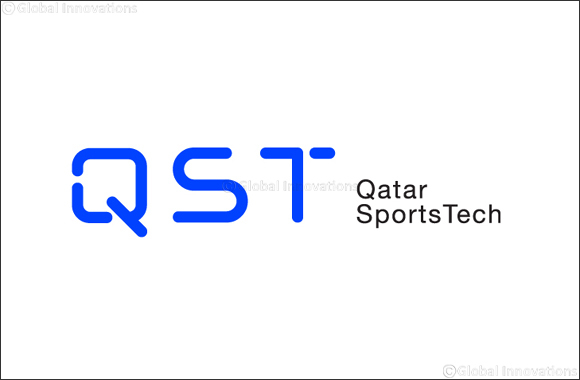 With the support from local and international partners, Qatar SportsTech has the means to accelerate the business of the participating startups and position them in the forefront in all major Sports activities happening in Qatar and beyond, through product presentations and business development, potential customers and possible funding to the participating companies.